How Much Does a Platinum Ring Cost? There are many elements that go into finding the perfect ring, and the type of metal you choose is a crucial one. Rose gold is trendy and yellow gold is classic, but platinum can’t be beat if you’re looking for durability and crisp, clean shine. But what about the cost? There is more to the selection process than just checking a box. Although it is similar in appearance to white gold, platinum’s mirror-like, silvery color make it the perfect complement for a solitaire center stone or a cascade of accent diamonds. The metal’s natural hue reflects less color. This makes platinum a top choice for white or colorless diamonds. However, platinum typically costs between two to four times as much as gold. Platinum is primarily mined in Russia and South Africa, and it is thirty times more rare than gold. It is also four times as strong, which is another factor that contributes to its higher price tag. For example, this Mid-Weight Men’s Wedding Ring In Platinum in 95% percent platinum costs $783, compared to this Mid-Weight Men’s Wedding Ring In White Gold $435 ring of the same size and weight in white gold. Because of the strength and density of platinum in its pure form, it’s usually mixed with alloy metals (such as copper or palladium) to make it more malleable. The level of purity is measured on a scale from 85% to 99.9%, or 850 to 999. High-grade pieces contain at least 90% pure platinum, which is usually shown by a stamp on the inside of the band. Each Brilliance platinum ring contains a hallmark that indicates the level of purity. A ring that’s composed of at least 95% platinum and 5% alloy metals, marked as PLA, PLAT, or PLATINUM, is considered to be pure, placing it at the top of the price scale. 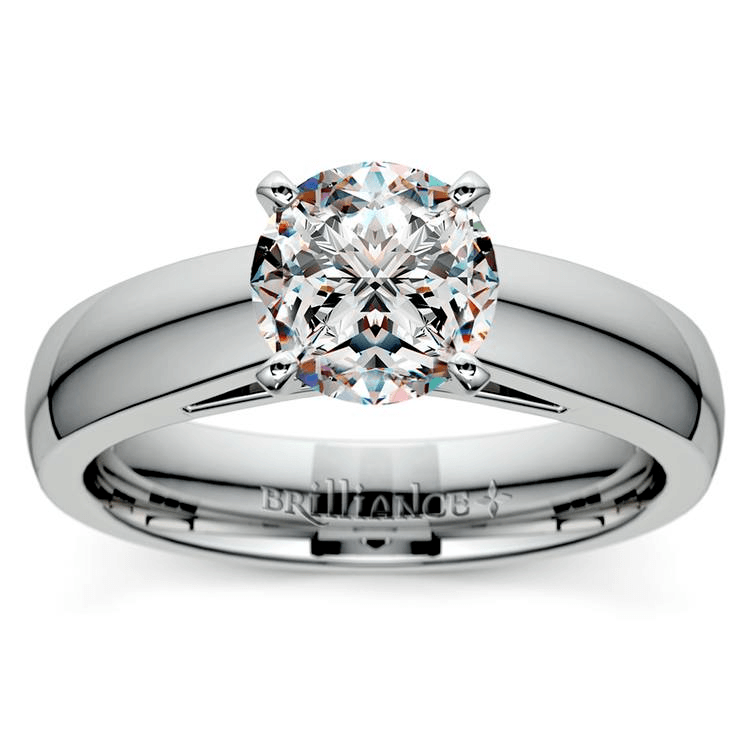 At Brilliance, all of our fine platinum pieces adhere to this standard. The increase in price guarantees a variety of other benefits in addition to longevity and shine. White gold is created when nickel is mixed with pure gold. Platinum, on the other hand, is hypoallergenic. This makes it a better option for people who are allergic to nickel. If you suffer from a metal sensitivity, upgrading to platinum is probably a worthwhile investment! White gold usually gets its silver-white color from a layer of rhodium that tends to fade over time. Platinum, on the other hand, has this color naturally so it’s less susceptible to dulling or fading. 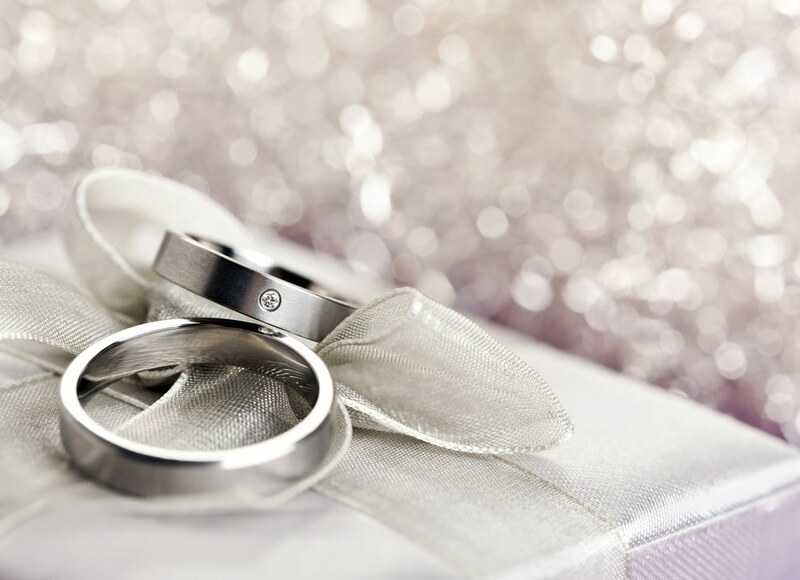 Little more than a quick buff is necessary to help your platinum ring keep its shine. Another thing to consider when purchasing a platinum ring is the labor costs associated with production. Since platinum is harder and, therefore, more brittle, you can expect to pay 20% more in labor costs than you would with gold. Platinum’s composition requires more careful attention and handiwork to ensure the piece is created smoothly and without errors. This is one reason why you may notice a steeper cost increase when looking at more intricate styles. Platinum is more reflective, making it a classic option for filigree or vintage settings. However, the combination of skilled craftsmanship and luxurious feel is mirrored in the price tag. This antique floral design costs nearly half the price in white gold as it does in platinum. Since platinum is stronger than other metals, it’s often used to create prongs in palladium and white gold jewelry. A platinum ring can hold stones more securely, so paying a higher purchase price might save you money in repairs later on. Even though you can expect to pay quite a bit more for a platinum ring than one made from gold, silver, or palladium, the price doesn’t compare to what you gain in longevity and quality. If you want a metal that will flawlessly compliment even the clearest diamonds and gemstones for generations to come, you simply can’t go wrong.